TRAVEL BUG TALES: WHERE IS FRANCES? I know exactly how the families of those stranded on Gilligan’s Island felt. Frances left us to take a little boat tour and then she was gone – just gone. OK, we were disappointed when Frances didn’t return to the hotel that afternoon, but we weren’t surprised. We had a special event that evening, one she’d gotten us lined up with, so we were sure she’d show up about five minutes after we were supposed to leave. We absolutely refused to be upset about this. We were dealing with Frances and that’s just how she was. Only she didn’t show up. We climbed into the transportation arranged for our excursion and headed off to another part of the island. So we arrived at the restaurant, which was full of happy patrons, to discover that somehow they didn’t know we were coming. Not to worry, have some planter’s punch and chill. So we had some planter’s punch and then we had some more and then we had a little more. See, the planter’s punch was complimentary and it was also very, very good. It was also strong enough to knock you into next week. Now if Frances had been with us, I’m sure she would have negotiated some wonderful compromise and we would have been served al fresco out by the sea. But Frances wasn’t there. Whoever had decided they were in charge instead did not have her skills. We were sequestered in a side room and drowned in planter’s punch, but the only other thing we got were promises. In spite of being three sheets to the wind, we began to realize our transportation would soon be coming back and there was no food in sight. We’d paid for dinner and there hadn’t been any. Now I will confess I was so out of it that I have no idea what all went on, but there was a lot of it. Remember, there are no cellphone, no Uber, no UberEats – nothing. We’d missed the dinner buffet at the hotel and there was no Mickey D’s. Somehow it was communicated to our transportation to come a little later and eventually, we got a table. I have to tell you, that’s one of the best seafood dinners I ever had. I’m sure it helped I was starving to death, but that wasn’t all of it. Everyone agreed we’d been lucky to find out about this place and have the chance to eat here. We decided it was worth the hassle of waiting – and besides, the planter’s punch had been amazing. As we dug into the bounteous feast, the food soaked up the alcohol and I began to come out of my haze. By the time we left, I was stone sober. I hoped that Frances would be there when returned. Come back next week and see if she was. 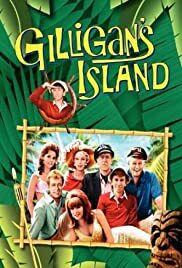 While we’d been focused on whether or not Michael and the gang were going to make it to our end of the island or not, apparently Frances had been fielding some other calls we’d been totally unaware of. When we woke up on the fourth day we discovered Frances had other plans. So, at SFA I’d met Frances before anyone else. I remember her introducing herself the first day and helping my family carry in my stuff. Frances was an operator. By the end of the first week she had a connection to pretty much everyone on campus. She was constantly heading off to this party, that trip or another hot date. As I said, she was our organizer. At the same time she had health issues. Allergies to this or that. Asthma bad enough to need one of those inhalers and for good measure, on this trip she’d brought along some mechanical devise we were supposed to hook her up to if her inhaler didn’t do the job. She was also late to everything, always. It was her trademark. Debbie and I knew that when we planned the vacation, but it was just part of Frances. You take the good with the bad. However, it did get a little irritating. Every morning it was something. She’d be the first one to take a shower and be sitting on the sofa waiting for us, but as we started to walk out of the room, she’d start to paint her finger nails. Just as every bus driver closed the door, she’d be the one to say, “I forgot __________, can I go back to my room. It will only take a sec.” If it had been me, they would have told me to just catch the next bus, but folks always waited on Frances. Debbie and I were just about through with Frances and her shenanigans. We loved her, but everyone on the trip had begun to paint us with her brush. Every time we showed up, late or not, there would be some sort of verbal jab at our roommate. Like contestants on Survivor we’d conspired to band together and whatever Frances dreamed up that morning, we were leaving her behind. Someone had to let her know her behavior was unacceptable. Only we didn’t get the chance. She was ready to head out the door when we did and she had her beach bag all packed up to go. She was going sailing with a dealer from the casino. What? When? Where? How? Somehow she had met one of the dealers at the casino and made a date to go sailing today, because it was his day off. One of the many phone calls the night before had actually been from him and they’d confirmed he’d be there to pick her up this morning. And then she was gone. She promised to be back in time for dinner. We were going out to a special restaurant with a small contingency from our group. Well that was a fine how-do-you-do! I think this was the day Debbie and I rented bicycles and took a little tour of the resort and its surrounding. There wasn’t much, but Debbie had spied some ladies selling craft goods on the road to the resort and we used the bikes to get there. While I’d faced disappointment and frustration on this trip, I was about to become acquainted with fear. Come back next week and find out why. Into each life some rain may fall. You might say we had a little shower while we were in Grand Bahama. We’d had dinner and were waiting for the guys we’d met that day to come join us. While we’d been given tickets for all the activities we were supposed to attend at the resort, we’d learned early on that one’s presence was enough to get you in. No ticket was needed. So the guys were going to come see the show with us and then we’d hang out. As we waited in the lobby, a staff member said we had a call and it didn’t matter which one of us took it. I’m pretty sure it was Francis who talked to them, because she was the organizer on our end. The borrowing of the car was not going as planned. We were to go on to the show and they’d be along a little later. I was actually quite relieved. It was the age of the pick-up. There was a sort of game going on where guys must have gotten points for obtaining phone numbers, but were put in the penalty box for using them. The fact that we’d actually gotten a call boded well. We went to on to the show and watched native dancers, swords and a lot of fire. We left the show with a skip in our hearts, but instead of three guys waiting in the lobby, we had a message. They were still working on getting to our end of the island, but things were not exactly going well. They’d make the next call to our room. Now this day and time, we’d be texting like nobody’s business. We’d already be friends on Facebook, Twitter, SnapChat and Instagram. Uber would have made getting to our side of the island both easy and cheap. Millenials have no idea what they are missing! I don’t remember how many calls were exchanged after that, but they got the car, then it broke down. They found a taxi driver who would come out there and then the guy changed his mind. We got tired of dancing attendance on the phone and suggested we try again tomorrow. That’s when we found out they were leaving the next day. It was now or never. I was trying to keep it light, but somewhere along the way it was Michael that called and he wanted to talk to me. A humdinger of a storm had hit and there was no way they could make the 30 mile trek out there. The storm wasn’t out our way yet, so at first I thought it was just a blow off call and I teased him about it. Before I could get off the phone the wind picked up and it was obvious we were in for some violent weather. I can’t remember exactly what Michael said to me that evening on the phone. He seemed genuinely distraught. He reiterated all the reasons we’d clicked and none of them had anything to do with looks. I can’t even remember if it was business or the military or just the end of a vacation that was taking them away, but whatever it was, he and I both regretted it. We marked it up to fate and went on with our lives, but when I’m playing what-if with myself, that evening is one I entertain. Since those days of innocence the cynical side of me has suggested he was probably married with three kids, a dog and a mortgage. Who knows? Maybe that’s so. But who knows, maybe it’s not. Whatever the case, this vacation had just delivered another blow. We’d been there three days and each one offered more in the way of disappointment than anything else. Was my love of travel going to be able to withstand all this? Come back next week and find out. It’s at least a little ironic I’m going down memory lane at one resort on Mondays and sharing my latest trip to another resort on Wednesdays. While Club Med Punta Cana is on the other end of the quality scale from Jack Tar’s Grand Bahama Hotel, I’m exactly the same person. I’m just not much of a relaxer. I completely failed at relaxing on the beach. Let’s see how I do at a casino. Gambling was completely new to me. I grew up Baptist and Baptists don’t gamble. Well, I’ve heard my mom loved slot machines. Let’s just say I had never gambled. When we got back to our rooms after a day in the sun, it was time to get all fixed up for our big night. That’s why tanning had been such an important activity for the rest of my friends. Women in evening gowns. Men in tuxes. Fortunes won. Fortunes lost. Every hair had to be in place. I’ll admit it was a little frenetic and I tried very hard to plug into the energy source. As you can see in the photo, my spot by the pool without baby oil, rendered me just about the same shade of brown as the other ladies. With my uber short hair I had less to worry about while getting ready. My mom, the slot machine queen, gave me a roll of quarters to play the slots with. I slipped them into my little evening bag with great anticipation. Then we boarded the bus for Freeport. How very touristy of us! The bus dropped us off on the side of the casino, allowing us to stroll to the door and pretend we did this all the time. Since nothing is scarier than a clump of women desperately looking for a good time, my friends and I headed off to try our fortunes at the tables, but I assure you, we weren’t the least bit interested in winning any money. My first stop was the slot machines. I did pretty well to begin with. I more than doubled my roll of quarters, but almost as quickly I was empty-handed. I figured out, Baptist or not, gambling was not my thing. It felt like I had just taken a perfectly good pair of shoes and tossed them in to the traffic. Next time someone gave me a roll of quarters, I was going to do something better than lose them in a slot machine. My winning and losing had taken what? About 15-20 minutes. Now what was I going to do with myself during the hours I was stuck there at the casino. While I have no trouble being the life of a party where I know a lot of people, throw me in a room with a bunch of strangers and I want to find someplace to hide. Instead I looked for places to lounge while trying to pretend I was cool. Just like at the beach earlier in the day I had the sense that I should be enjoying myself, but I wasn’t. In my many strolls through the casino between lounging sessions, I’d see my friends, ordering a drink, playing a game or chatting with someone. Meanwhile, I was just trying to look cool rather than desperate. Eventually the bus did return and I got to quit working so hard at having fun. Everyone had stories to tell and I was able to just oooh and aaaah. When they turned to me for my report, I laughed about how much money I’d had in my possession for such a short period of time. When they wanted other details, I said I’d spent my time people watching. It was true. I’d spent my time watching everyone else have a lot more fun than me and wondered what kind of disease I had that was keeping me from properly enjoying this vacation. So far, the best part of the trip had been dancing at the local club and reading by the pool hadn’t been so bad. Up next was a shopping trip. Now that’s my kind of activity. Come back next week and see how I do. TRAVEL BUG TALES: THE BEACH IS NOT MY FRIEND! So there I am in the Bahamas with some of my best friends from college. I’m in my early twenties and have spent my life taking vacations on the beach. It’s our first full day at this tropical resort and we’re going to spend the day hanging out in the sun and sand. This is supposed to be fun, right? We’re on vacation. We sleep late. We get into our cute swimwear. We head out to the beach. We find a spot to line our towels up on the sand. We grease down our bodies with baby oil – sunscreen wasn’t yet a thing. We lay down to soak in the sun. So far so good – right. Then the breeze kicks up. Do you know what happens to your greasy body when the sand starts blowing. I guess I didn’t or I wouldn’t have put the baby oil on in the first place. See, my beach world had been very different. The only hanging out we did on the beach was the early morning when we’d go beach-combing for shells and you didn’t need suntan lotion in the early morning. We’d spend the rest of the morning shopping and then make lunch for the guys who had been golfing. After cleaning up from lunch we’d head out to the beach en masse and mom would put some suntan lotion on us. Please note, this was not your soccer mom’s sunscreen. It was only supposed to keep you from burning and was not designed to protect you from harmful rays. Here’s the trick. We didn’t lay down on a towel. We hit the water and stayed there. There would be floats for playing in the surf, but most of the time we’d just jump with the waves as they came rolling in. The Lides had a net and we’d seine for treasures. We’d play with Frisbees in the surf or play some catch with a beach ball. We wore ourselves out and yet we still complained hours later, when every inch of our skin was shriveled from the water and our mom would insist we had to get out of the water. We’d grab a towel from the pile, wrap it around us and head back to the beach house where showers and naps would fill the late afternoon. For dinner we’d head out and eat at some incredible seafood restaurant. Once back at the beach house we’d play games, sing songs and talk about life. The moment the wind covered my body in a thin sheet of sand, I stood up and said, “I don’t like this place. I want to go home.” This tropical vacation was ganging up on me. First, they put me in a cinder block room with a salt water shower. Then they expected me to get in line for every meal and fill my tray like I was still back at SFA. They also expected me to play bingo and then when I revolted the natives ripped me off in a classic tourist trap move. Next thing I know I’m supposed to want to lay on the beach covered with sand – and I’m supposed to like it. I wanted my mommy. I’ve never been much of a complainer. I’m more of a let’s-have-fun-anyway kind of girl. I think the very fact I was complaining must have shocked my friends and to boot, I had tears streaming down my face. They got that I was dead serious. Debbie and Frances jumped up and put me under a beach-side shower-head. One friend sat me down in a pool-side chair and the other went to the snack bar to score me a burger and some chips. Then someone put a book in my hand. I soon realized how completely juvenile I’d been. Blood sugar may have had something to do with it, because we’d slept late and missed breakfast. I began to laugh at myself, which meant that now my friends could laugh, too. We made an executive decision. I was not allowed on the beach. I’d sit next to the pool and read my book. They moved their towels to be closer to me and everything was all good. One of the reasons my buddies were so interested in getting a tan had to do with the evening’s entertainment. Adventure Tours was loading up a bus and taking us to the Casino in Freeport. Everyone had packed a special dress for the occasion. Most likely we had visions of meeting some version of James Bond in his tuxedo and we wanted to be ready. How did that go? Well, come back next week and find out! Like the lyrics of “Both Sides Now,” I find myself fond of illusions. Yes, I do end up being disappointed from time to time, but what fun I have anticipating things – and sometimes I even get it right. I always know in my head how I want things to go and much about this trip was a perfect fit for a young girl’s first international travel – especially on a trip without my family. Some things weren’t so great. Take meals for instance. I’d never been to an all-inclusive resort, so I didn’t realize I’d be going through a buffet for every meal. I’m not all that fond of buffets – especially free or all-you-can-eat varieties. The food was fine at the Grand Bahama Hotel, but standing in line with my tray and dipping up my selections didn’t merge very well with my dreams of elegant tropical meals. Or take the hotel itself. The entry area was grand enough. There was a lovely pool area. Even the beach was very nice. However, the cinder block buildings where we stayed were not exactly deluxe accommodations. The furnishing were serviceable, but not more. In fact, they weren’t even as chic as what I’d become accustomed to in my parents’ favorite hotel chain – Holiday Inn. What’s more, we showered with salt water! We checked-in to our cinder block room and unpacked our luggage. One of our first assignments was to go to the Adventure Tour desk and pick up vouchers for our various entertainments. That’s when I realized that the first night’s entertainment was going to be bingo. BINGO? Was this some kind of joke? Other events seemed to be pretty good, a native show, a manager’s cocktail party, a catamaran ride with a beach picnic, etc. That’s what I came to the Bahamas for. But bingo? BINGO? I wasn’t buying it. I started a rebellion. First I convinced Debbie and Frances that we were not going to play bingo. I preferred to stay in my room and take a salt water shower over bingo. The table next to us at dinner felt the same way and soon we had a large group of people who weren’t going to spend their first night in the Bahamas at any stinking bingo game. I forget exactly how the logistics went, but it wasn’t too long until we were loading into taxis and limos in front of the hotel. They drove us through a series of unfamiliar streets. We paid them for a round trip and told them what time to come back and get us. You probably know how that went, but we were young and had no idea. So we were on cloud nine. The taxis had delivered us to a local bar. Our group was just about the only patrons and that was sort of disappointing, because we were trying our best to go native. We ordered up some cuba libres and settled in for a good time. After a while, a band began their first set and soon afterwards the natives arrived. To our delight they were black. We were going native! For the first part of the evening the tourists and the natives kept their distance for the most part, but kids will be kids. Soon enough, the groups melted into one another and we were all dancing and laughing together. It really was one of the best evenings of travel I have ever had. Eventually, it was time to go and our transportation showed up, but they claimed we’d only paid for the first half of the trip and we’d have to come up with X dollars to get back to the hotel. I forget the price, but it seemed steep and we were just college kids who pooled nickels to get drinks. Somehow we came up with enough money to pay. That’s when we discovered we’d only been around the corner from the resort. All the driving around on the way to the club had been a ruse. We could have walked to and from the club quicker than we could get to the beach and the resort was on the beach. We could have been mad, but we decided not to be. The folks who had played bingo were sitting in the lobby looking miserable and we wanted to be sure they regretted not joining us, so we put on our smiles and wrapped our arms around one another. We’d only just arrived and we were already having adventures. Next week we’ll head to the beach, so please come back and join us.